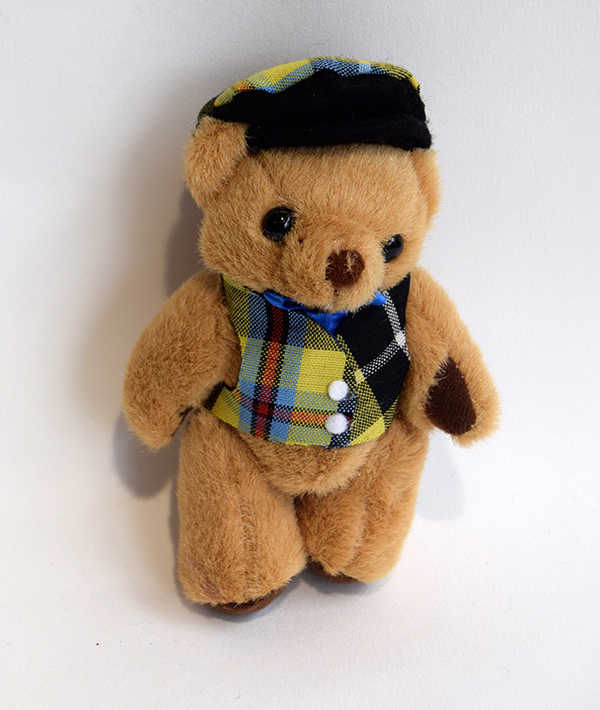 Cornish Tartan Mini Ted is plush soft with velvet pads on his paws. He is wearing a black peaked National Tartan Cap and National Tartan Waistcoat with a sateen bow tie to front body only. Cornish Tartan Mini Ted stands 14cm high. Unfortunately he is not suitable for children under the age of 36 Months due to small parts. A cute little gift for any Teddy Bear collector.